You can add Greg Sutton to the Red Bulls starters who will be missing tomorrow. It seems the Canadian International suffered a concussion in training on Tuesday. With Bouna "Time" Condoul away on International duty, the newly signed Alex Horwath will get the start in goal against Columbus. Jimmy Maurer, signed to a one day contract, will back-up Horwath. The New York Times is reporting that another starter from last week, DJ Jan Gunnar Solli, is questionable with a hamstring strain, a problem that has plagued several RBNY players since the pre-season. The same report also states that Thierry Henry, already scratched from the Columbus game at the beginning of the week, won't even travel with the team to Columbus. With both starting RBNY center backs out, one player who will be counted on to fill the void is Carlos Mendes. But just who will partner Mendes @Columbus? According to this tweet, from Big Apple Soccer, Mr. Backe is considering Roy Miller at CB. Which leads me to ask: Why not the newly signed Tyler Lassiter? C'mon Mr. Backe! Might as well see what you got in a meaningful game. And throw John Rooney in there as well. Red Bulls forward phenom Juan Agudelo has won MLS Goal of The Week honors for his golazo against Seattle. Congrats dude! I'm hoping there's more of that coming. Just yesterday, the Red Bulls U18 Academy team got a once-in-a-lifetime chance to practice with the Argentinian National Team. You might know that the "Albiceleste" is preparing of a massive clash against Juan Agudelo, Tim Ream and the rest of the USMNT, tomorrow @New Meadowlands Stadium. You can Click Here to see a video of the RBNY U18/Argentina training session. Here's a great WSJ article about what newly hired RBNY Performance Analyst David Lee actually does. You might have read the article we posted on the concessions disaster that was the Seattle game. Well, here's a very interesting "fix", courtesy of Tim Hall. Kevin McCauley give us this very interesting article regarding RBNY tactics. The whole RBNY team will be at the Adidas store this coming Tuesday signing autographs. You can click here for the event's facebook page. It's official in Harrison, NJ: On RBNY gamedays, no permit, no parking. A very interesting MLS Places of Birth map here. Colombianos lead the foreign MLS contingent (16). 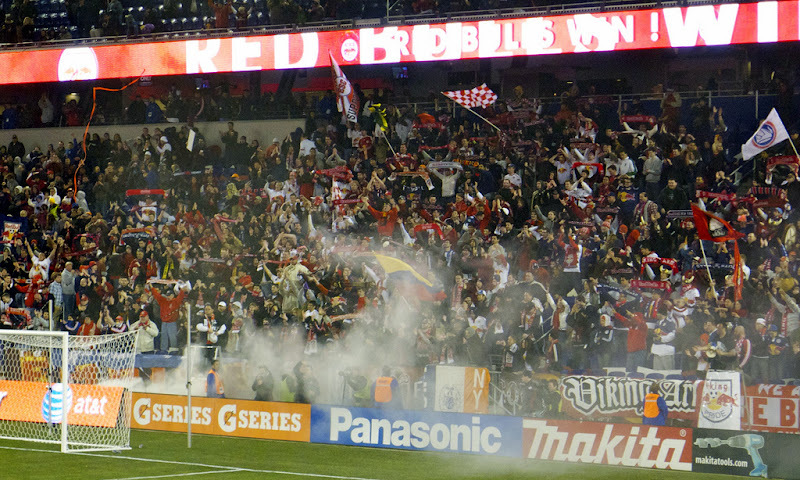 Is MLS attendance poised to overtake that of the NHL? So says this article. Ever wonder whatever happened to "Big Mama" Diallo? Well you can read about what the former Metro, and Mike Ammann's least favorite person, has been doing since he hung up his cleats by clicking here. 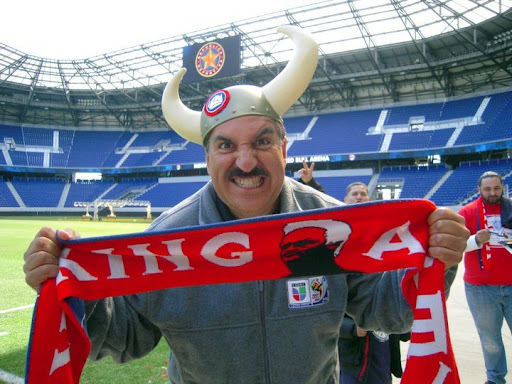 Last, the great Fernando Fiore is a Viking.